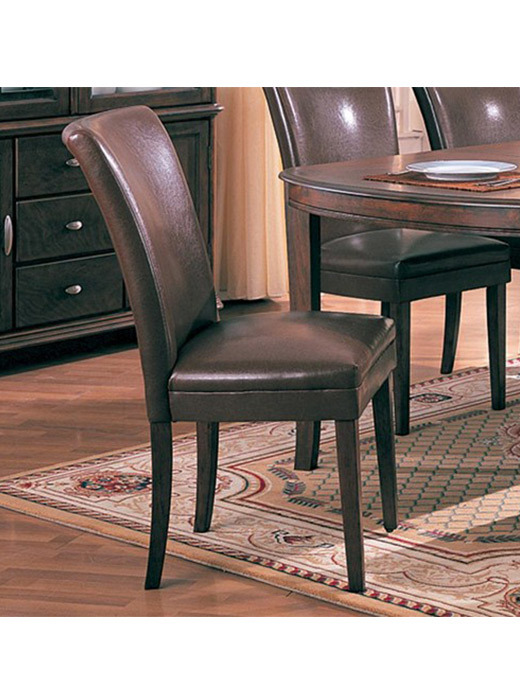 For seating, the classic style of the Parson chairs are available in several color options for the upholstery. 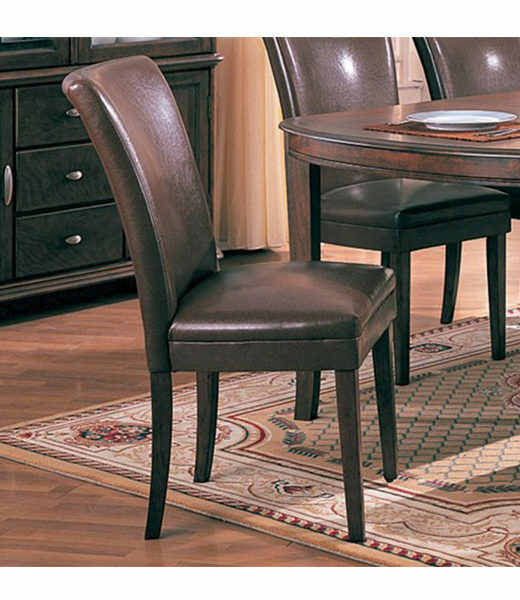 A Parson chair adds classic sophistication to any dining area. The tapered legs and stitched details at the back of the chair complete the beautiful look. This armless side chair is available in a number of fabrics and leathers that you can find your perfect style. Available in Brown leather or black leather. Use the Soho dining collection to create a fantastic option for a contemporary and sophisticated style in your home. The rectangular dining table offers a great place for meals while the rounded edges and tapered feet add style to the overall look for casual or formal meals. For seating, the classic style of the Parson chairs are available in several color options for the upholstery. The Soho collection provides a great furniture pieces to help you create an impressive and inviting room.